Azienda Agricola Lanciola is situated a few kilometres outside Florence on the rolling hills of Impruneta in the Colli Fiorentini wine-making region. 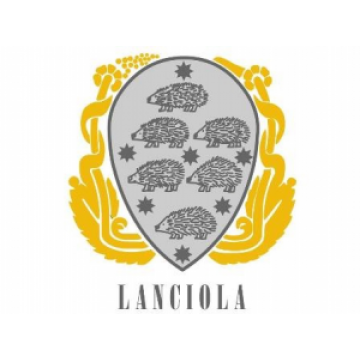 In Medicean times the land belonged to the characterful Ricci family, whose family crest is referenced by the hedgehogs on the Lanciola label. Records show that wine-making on the estate dates back to 1587, when a tithe of one bushel of wheat and one cask of wine was paid annually to the church of St Stephen of Possolatico by Frederico di Ruberto de Ricci. 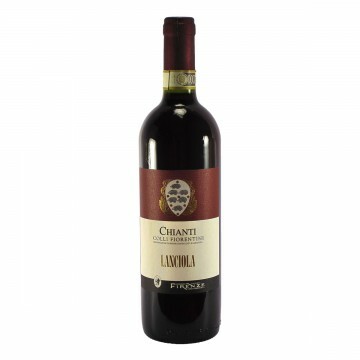 Today Lanciola is owned by the Guarnieri family who have worked hard to maximize the use of the land and continue to produce excellent wines. The estate covers nearly 80 hectares, 40 under vine and 40 of olive groves. The vineyards are divided between two locations: Impruneta, where the vineyards were once called “Terre dei Ricci” and now produce a Chianti Colli Fiorentini, an IGT super Tuscan 'Terricci', a Vin Santo fortified wine and a first-rate Extra Virgin Olive Oil; and Greve in the heart of Chianti Classico where Lanciola has about 14 hectares, 10 of which are ideally situated vineyards at 300m above sea level with south-west exposure, on good soil. Sangiovese is the primary variety grown, along with some Cabernet Sauvignon, Merlot, Syrah and local varieties including Canaiolo and Colorino. 90+% Sangiovese; complimentary varietals. Ripe cherry, leather and chocolate on nose. Medium bodied,..